Nijinsky Dans La Peri - Ballets Russes is a piece of digital artwork by Sarah Vernon which was uploaded on February 15th, 2016. 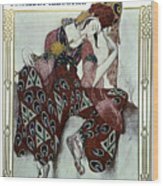 Now here's a vintage ballet theatre programme illustrated by Leon Bakst that I haven't played with! I bought it from Mindy Somers at Vintage Art Download and gave it a soupcon of restorative magic. 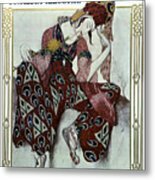 The incomparable Vaslev Nijinsky (1890-1950) was so famous a dancer with Sergei Diaghilev's (1872-1929) Les Ballets Russes that he, along with Diaghilev, was one of the few people known the world over by surname alone; both are inextricably linked with early 20th century arts. Nijinsky went on to choreograph Debussy's L'Apres-midi d'un faune (1912) and Stravinsky's (1882-1971) The Rite of Spring (1913), which impresario Diaghilev produced. Ballets Russes was founded by the latter in 1909 and Stravinsky was not the only composer to be commissioned. Also included were Satie (1866-1925) and Rimsky-Korsakov (1844-1908), while there were sets designed by Picasso (1881-1973) and Jean Cocteau (1889-1963). Names to conjure with indeed. Add fellow dancers, Michael Fokine (1880-1942), Anna Pavlova (1881-1931) and George Balanchine (1904-83), and you can see why the company was so instrumental in reviving ballet as an art form. So many stunning images in your gallery. Love this too! Beautiful work of art! Well done! FAVORITE too! It is magnificent, isn't it? 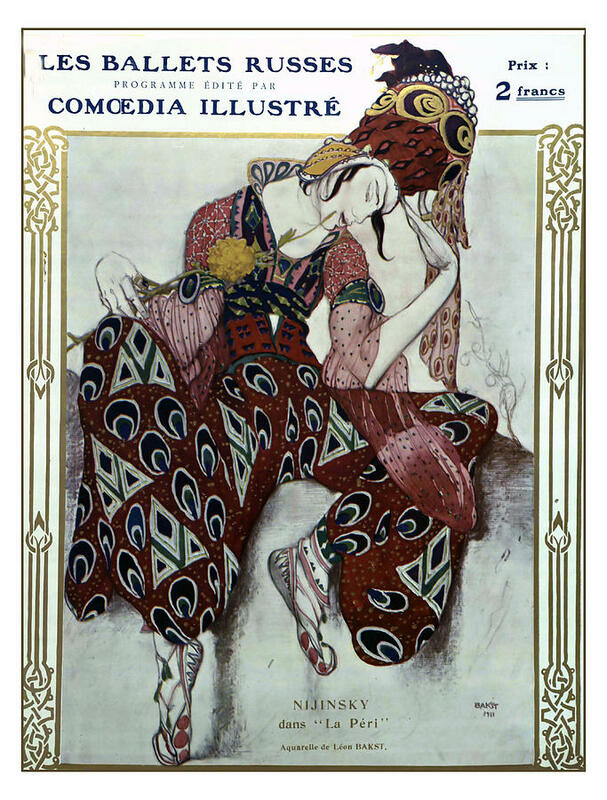 Bakst's work was sublime. Thanks, Reynold. 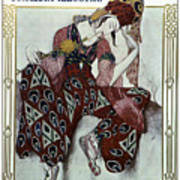 Bakst is one of my favourite artists and designers. Thanks, Sorin.